Ronak is a serial entrepreneur and who has worked with small-medium-large companies. He is a most optimistic person and try to bring best out of technology. He is closely working with ecommerce, mobile application, IOT ventures since 2009. Being an entrepreneur, he understands the issues of startups and mid-size company and help them to define the functional/technical process and find out the best suitable solutions to make it automated and Which makes our clients happy and satisfied. Founded in 2009, We at Magneto work with passion to bring your ideas to life, and create stunning software’s for business. However, as an entrepreneur, you know better than anyone else that passion, dedication, and hard work are worth very little, unless they produce results. We know that too, so you can be sure that the software we create will not only look great but also bring the results you require. Magneto believes in innovation and bettering themselves and creates web application make people smile without knowing it. 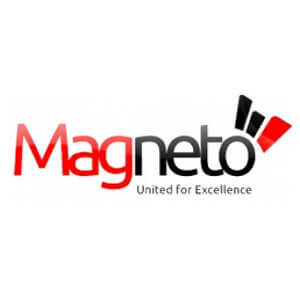 Magneto IT solution is an app industry master with a clean record for developing the highest level of e-commerce , Mobile , IOT applications, tailored towards a client requirement and needs served by the app. We have around 9 years an experience in mobile apps development. we develop and create variety of application which ensures practical and beneficial outcomes of the end users as well as the merchandisers. We develop the applications that are packed with features and privileges that make the experience at the user end wonderful. We have expertise in iOS, android apps development and develop the solutions for the industry like Real Estate, Food Ordering Solutions, Utility app solutions, Travel app like Uber etc. We follow the MVC, MVVP standard architecture in development. We are trained to follow Agile Methodology in development which leads our team to reach client satisfaction, high performance and on time delivery. We turn real-life thoughts into solutions. 3. How would you drive your team to meet technology demands of 2018? I firmly believe that learning is something that should never stop. Skill up gradation is very essential for our team what I really support. Our productive team discussion makes sure that we are never out of new technology reach. Technology is moving fast as we IT industry Grow. It’s the necessity of time to keep updating our self-updating with technology. We prefer NATIVE APPS development. Previously we were working on objective C for iOS development. As apple switched to SWIFT we turn our technology into SWIFT. We are using core JAVA and Kotlin for Android app development. We also keep updating our self as soon as new versions of OS or IDE’s released like XCODE and Android Studio. We keep our web technologies updating by using NODE JS and ANGULAR JS. We are also developing apps in Cross Platform technology using Xamarin forms and Xamarin Native. It provides us the flexibility to use Native codes along with web integration. It helps us to provide solutions with low budget projects. Client has advantage that they are getting apps with the little bit the same performance of native. Every time when I talk with my clients, I will also embark the importance of selecting the right platform for their requirement. Generally most of people don’t have the idea about it the different platform and misguided by selecting wrong platform and faces issues later. There are various factors that I consider while suggesting them such as scalability, compatibility, security, purpose and based on that we propose the right solution that could fit the requirement and ensures high return of investment. There are several aspects comes in picture when we choose the technology for our client. Out of that important aspects are budget, client’s goal, target audience of the apps, duration of the delivery etc. If client is looking for a solution and target audience is huge then we prefer the NATIVE Apps development. If clients target audience is small or B2B then we prefer the HYBRID Apps development. Again, at the end we suggest the best solution and technology based on requirement. Client decides on which way he/she wants to go. 5. What all services do you think you would add to your offerings in 2018? There are several ways available which reduces our manual process. Chatbot, IOT Solutions, Online-Offline Chat Support, Smart Watch integration for quick update, Cloud integration, GPS integration, Micro Web Services, Artificial intelligence in app itself etc. Above these options reduces manual things like open the email and check the update, the same thing you can get on your smart watch even you are busy with some work like driving, having dinner etc. In short, we are reducing the time by using technology. As technology is growing we have so many doors to keep our solutions better and better. We are moving towards implementation of Artificial intelligence, Augmented reality, using Dev ops process etc. We are more focused in using Agile Methodology. Agile gives the transparency between all phases and teams in every process of Development. Agile is applied from the start with client meetings till we deliver the product and still keeps managing things in maintenance of the project also. We are dynamic in pricing model. We accept fixed price projects. We also provide flexibility to hire our developers on monthly basis or hourly basis based on conditions defined in NDA contract. We prefer the pricing model also in Agile. Which allows clients to make payments in slots of sprints (The slot of work). Client gets the work which is done and verify. So, pay for the things have been developed. So, it’s basically give and take concept. In this case both the entity client and company are satisfied. We take the requirement from client. We understand the final output of project and usability. Based on that we suggest the best things for project regarding technology and flow of project. Once client is agreed then we estimate the time required to develop project based on technology and no of resources selected by client. Lot of time we have seen that client just comes with some idea. Its high risk to invest huge amount at the beginning phase. Instead of that we suggest clients to develop MVP (Minimum Viable Product). MVP is the system/small blueprint of project which helps client to understand the reaction on the project or solution. As soon client is confident on his idea or solution then he can invest more and make his project as solution. Yes, we are already working on IOT, Chabot and Artificial Intelligence. We are moving into rest of technology. We have created home security solutions using IOT, padlocks, gun box, door locks, portable sensor devices etc. We are using AR kit for iOS apps. The above technology really helps us to turn real life problems into solutions. 9. What are your favorite industry verticals for 2018 and why? We are not stick with any specific industry but we are catering to various industries like Fintech, fashion & beauty, real estate, education, home and furniture, Utility, Health and life style and many more etc. Our vision is to helping to small, medium, large enterprise to achieve their business goal. Generally I have been seeing a lot of cases, request and enquiries from the client that they have invested a lot of money but didn’t got any positive outcome from it. We would like to offer on Fintech , Real Estate Solutions, Travel Solutions, Health Care Solutions, Home Security Systems Solutions, Utility solutions etc by using mobile apps through Artificial Intelligence, Chabot, IoT apps, Augmented Reality.